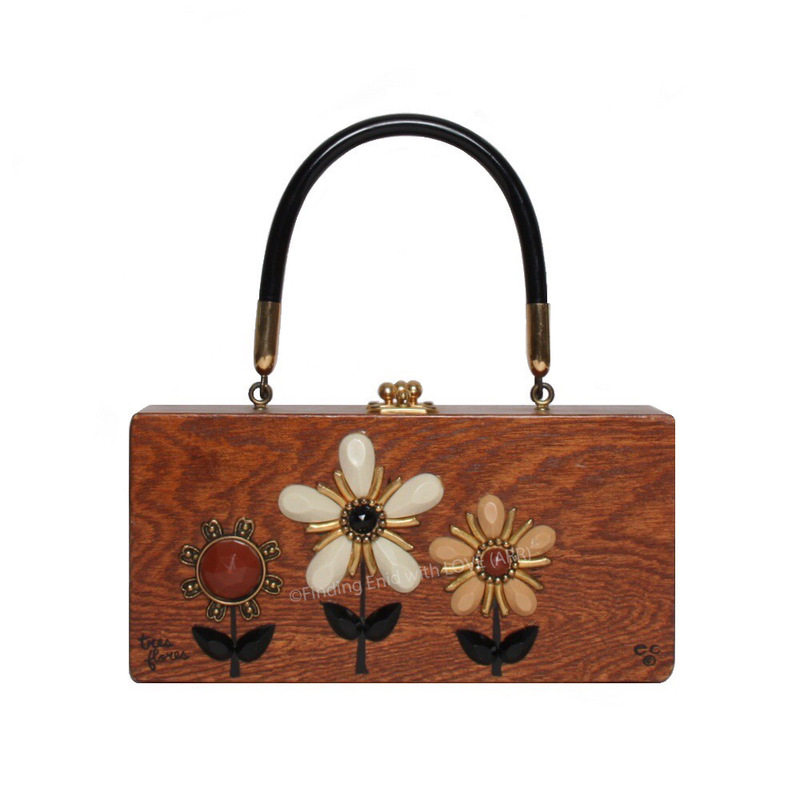 Box purse embellished with three flowers designed in faux gems. Minimal screen printing (stems, text) plus neutral-toned jewel-flowers in opaque ivory, brown, beige and black with metallic gold accents. Black vinyl handle. "tres Flores" screen-printed in lower left of front panel.